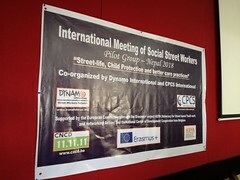 Dynamo International coordinates the International network of social street workers who approach various populations in their environment (children, youth people and adults). 40 national platforms of street workers are members of the network, coming from southern and northern countries. Through the involvement of many persons who are in contact with people living and/or working in the street, the aim of this network is to increase the efficiency and the quality of the practices by means of training, exchange and implementation of educational tools. The other objective is to generate an international mobilization to build lasting and structural answers toward problems that people in the streets face around the world. 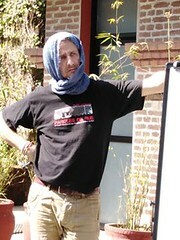 Dynamo International – International network of street workers – connects thousands of them from all four main continents. Hundreds of associations are involved in the network too. This project is a real solidarity network whereby people working on the ground can express themselves, question the political powers and others instances on the fight against exclusions and inequalities, enhenced by a clear globalization. Why an international network for street education? The purpose of the network is to promote the exchange of practices, training and reflection in order to improve the work on the ground by providing tools to assist people more effectively. It also seeks the awareness, questioning and promotion of the social street work on its specificities. To fight effectively against poverty and social exclusion, we have to draw up concrete proposals on an international basis and common theoretical frameworks while respecting national circumstances. Each platform represents a country and brings together several local associations (sometimes hundreds) and street workers individually. These platforms meet regularly to create strategies, to develop activities which allow street workers to share their realities. Each platform has one or two coordinator(s) in charge of the link with Dynamo International. All these coordinators form the Pilot Group of the International network which brings together every two years to decide about the missions, objectives and activities to implement. To join our network, it is only necessary to share our goals and values (tolerance, justice, international solidarity), to be involved in a street education project or non-formal education in general. On that basis, you just have to contact the coordinator(s) of the corresponding country to receive information locally and internationally. If your country is not yet member, you have to create a platform and apply to be a member of the International network of social street workers. To participate, you can also submit contents about projects, studies related to street work, initiatives, donations, etc and receive information through our website, newsletters and our publications.